I only have a few minutes, but I wanted to put a plug in for my other artistically inclined family members, my sis and niece. Each have their own Etsy shops. My sister specializes in creating art through dried flower petals, and it is LOVELY!! 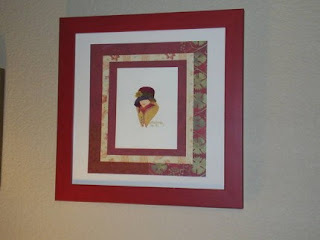 So go visit her shop at petalpainter.etsy.com, and don't forget to visit my crafty niece's shop too. She has cute purses and totes for sale at littlehannahs.etsy.com, and they are adorable and well made. Of course, I highly endorse both budding artists! ...on my way to visit shop of you sister and niece.